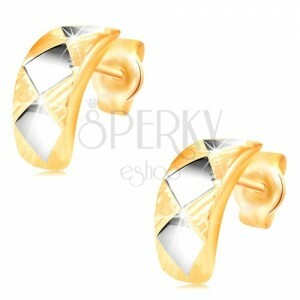 Earrings made of combined 585 gold with stud closure, shiny arc decorated with diagonal cuts and rhombuses in white gold. By buying this product you can collect up to 67 points as a voucher of $18.09. Your reward points. 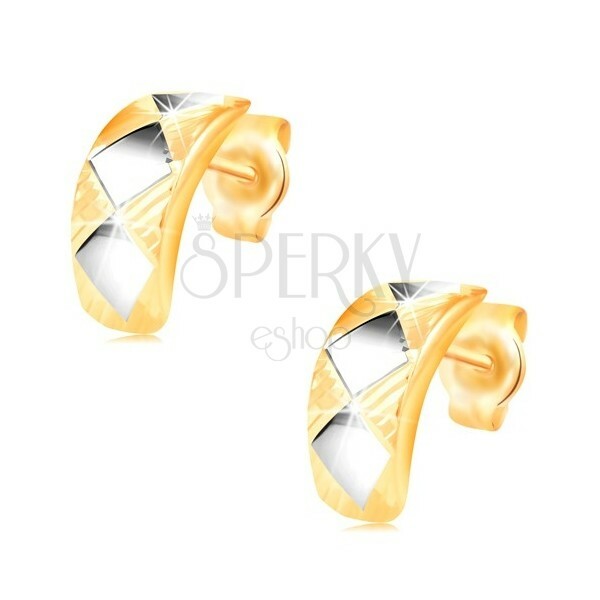 Earrings in combined 14K gold are in the form of an arc made of yellow gold which is decorated with thin diagonal cuts and shiny smooth rhombuses made of whtie gold. The earrings have removable closure retained by friction.